Maintaining Your Pumps Just Got a Lot Easier. Disassembles in 5 easy steps. 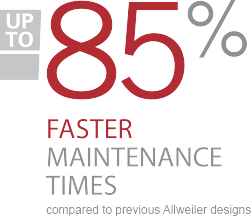 Designed to disassemble and reassemble in a fraction of the time, the Allweiller OptiFix progressing cavity pumps offer best-in-class mean time to repair (MTTR) which translates to less downtime, fewer service costs and longer pump life. Pumps Should Last Forever. 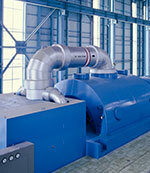 Maintenance Times Shouldn&apos;t.
In addition to breakthrough features like a patented zero play stub shaft connection and its high quality joint construction, the OptiFix has a specifically designed dismounting device that enables you to remove the stator and rotor while the discharge casing and suction casing are still installed in the piping. 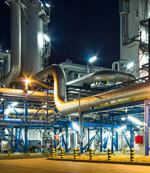 The result is a pump that can be disassembled and reassembled in minutes. The Allweiler OptiFix progressing cavity pump features a number of innovations designed to keep your system up and running. With its easy exchange design, the OptiFix is optimized for safe and streamlined inspections, parts removal and services operations. Its ATLS-T1V sensor detects dry-running conditions and prevents catastrophic breakdowns. 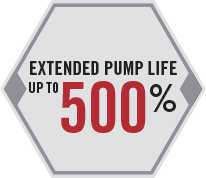 And, by outfitting your pump with an ALLDUR® stator, you can extend pump life up to 500% – drastically reducing your total cost of ownership. 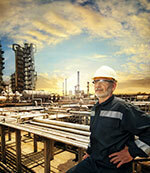 Designed To Keep Operations Flowing. Built to last – While the OptiFix is designed for easy maintenance, we made sure that updated design didn&apos;t compromise the durability of the stator and rotor. Built to perform – The new design also offers uncompromising performance and volumetric efficiency. Built to fit –With robust and compact construction, the OptiFix&apos;s reduced footprint allows it to be installed in more places than ever. Built to run – The self-centering extension piece between the stator and discharge casing and optimized sealing of parts against each other make cleaning, reassembly and maintenance easier, which in turn means less potential failures.